View basket “Patinated Bronze Beater B3” has been added to your basket. These are automatic watches designed in Sussex and forged in the seas surrounding our rugged coast. Their details speak of the romance and hardship of the lighthouse keeper and the trusted beacon of light. The cases are iconic in shape and the dials clear to read. We endeavour to combine the best in British manufacture with precision Swiss movements and German engineering to create watches with a story behind every detail. The Schofield Signalman Bare Bones project. 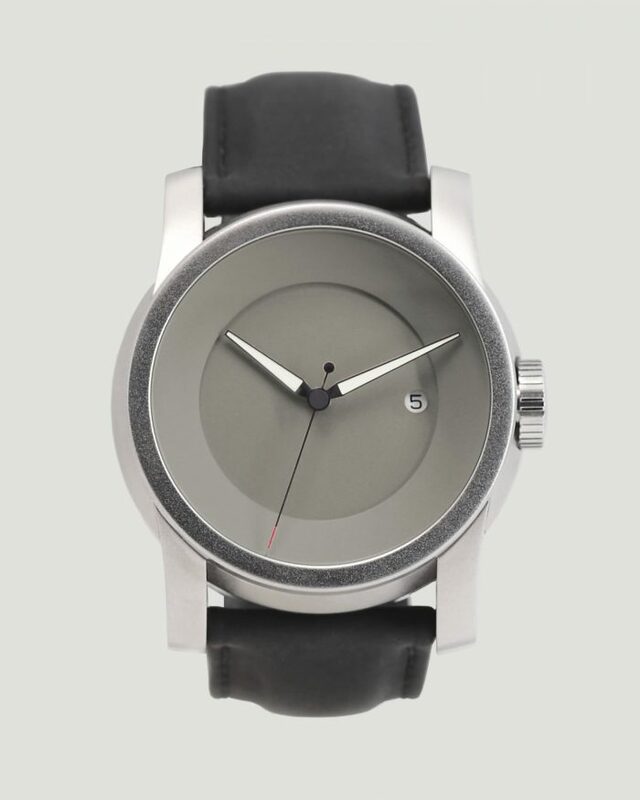 The plan is to make a limited run of these Bare Bones minimalist watches - some have dials plated with different precious metals and some have solid German Silver dials. All will be serialised and marked on the case backs with the Rare Things graphic. Schofield branding only appears on the buckles. This minimalist watch has a heavily plated rose gold dial and is limited to 10 watches. These are pre-production artist's proofs and have been built into Signalman cases. 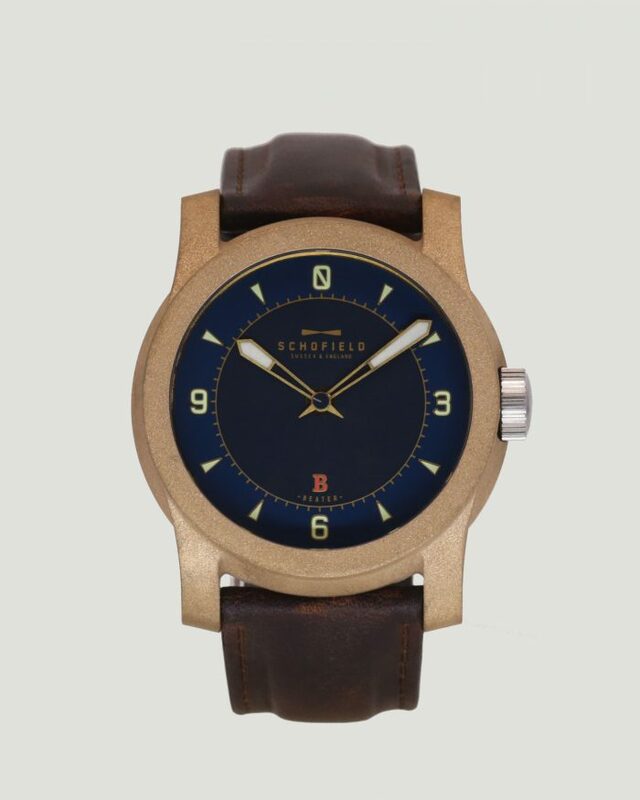 A charming quirk and proof of Schofield's watch development is the redundant pusher button in the side of the case for setting the GMT complication in the classic Signalman models. Please email us if you would like more information. This Signalman Bare Bones is a minimalist watch with a rose gold dial which comes on a strap of your choice and in an ash box. The Schofield Signalman Bare Bones project. 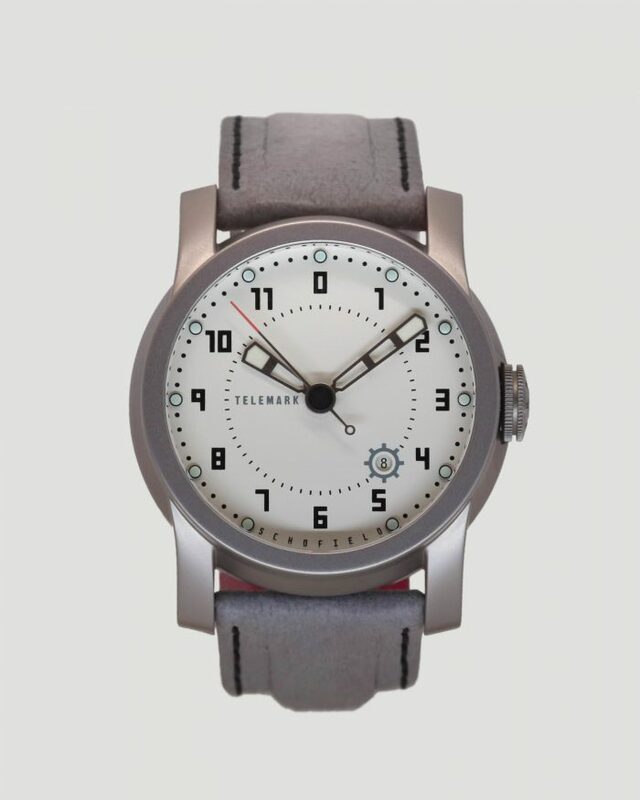 The plan is to make a limited run of these Bare Bones watches - some have dials plated with different precious metals some have solid German Silver dials. All will be serialised and marked on the case backs with the Rare Things graphic. Schofield branding only appears on the buckles. 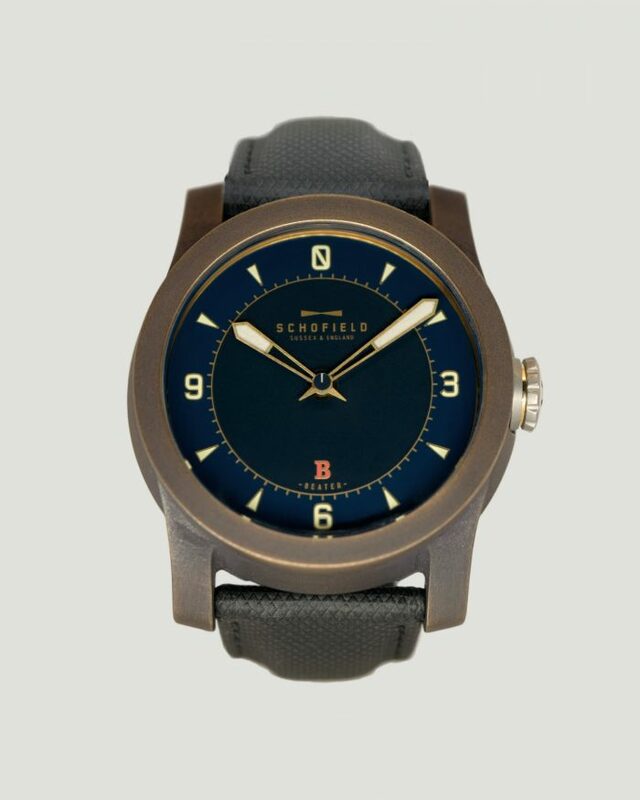 This watch has a yellow gold dial and is limited to 10 watches. These are pre-production artist's proofs and have been built into Signalman cases. 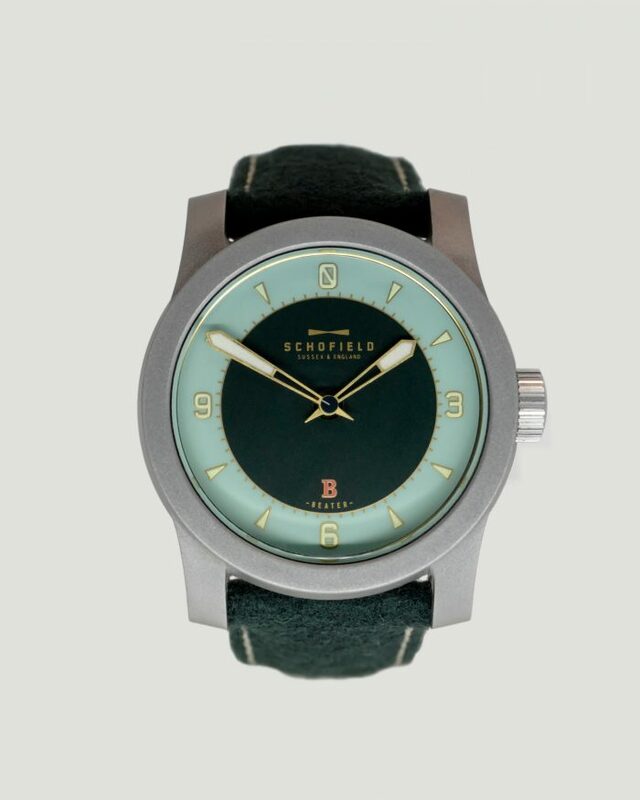 A charming quirk and proof of Schofield's watch development is the redundant pusher button in the side of the case for setting the GMT complication in the classic Signalman models. Please email us if you would like more information. This Signalman Bare Bones has a yellow gold plated dial, comes on a strap of your choice and in an ash box. The Schofield Signalman Bare Bones project. The plan is to make a limited run of these Bare Bones watches - some have dials plated with different precious metals some have solid German Silver dials. All will be serialised and marked on the case backs with the Rare Things graphic. Schofield branding only appears on the buckles. 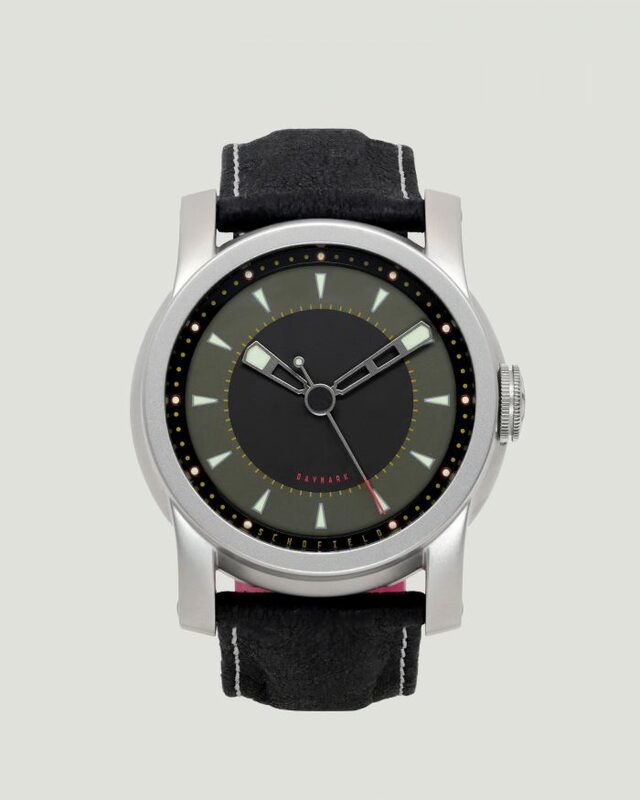 This watch has a rhodium dial and is limited to 10 watches. These are pre-production artist's proofs and have been built into Signalman cases. A charming quirk and proof of Schofield's watch development is the redundant pusher button in the side of the case for setting the GMT complication in the classic Signalman models. Please email us if you would like more information. 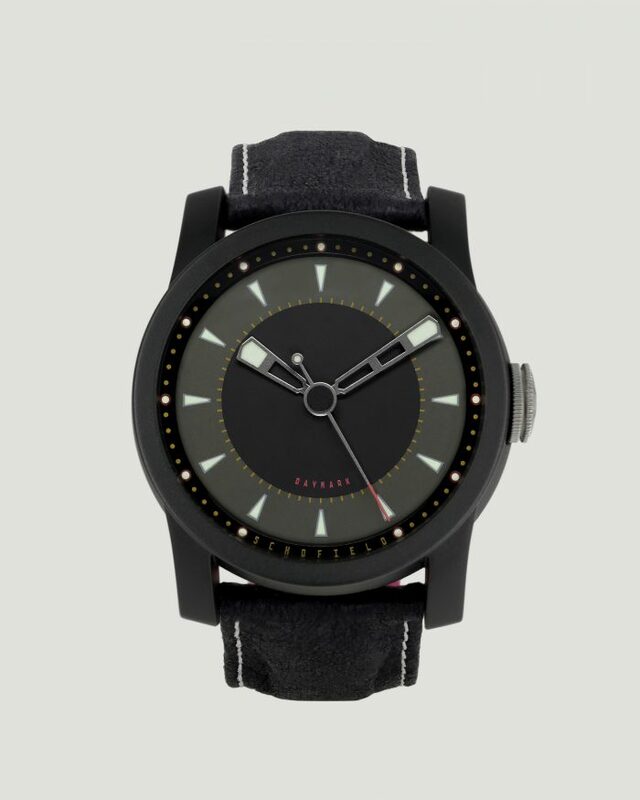 This Signalman Bare Bones has a rhodium plated dial, comes on a strap of your choice and in an ash box. The Schofield Signalman Bare Bones project. The plan is to make a limited run of these Bare Bones watches - some have dials plated with different precious metals and some have solid German Silver dials. All will be serialised and marked on the case backs with the Rare Things graphic. Schofield branding only appears on the buckles. This watch has a solid German Silver dial and is limited to 10 watches. These are pre-production artist's proofs and have been built into Signalman cases. A charming quirk and proof of Schofield's watch development is the redundant pusher button in the side of the case for setting the GMT complication in the classic Signalman models. Please email us if you would like more information. This Signalman Bare Bones has a solid German Silver dial, comes on a strap of your choice and in an ash box. The Schofield Signalman Bare Bones project. The plan is to make a limited run of these Bare Bones watches - some have dials plated with different precious metals and some have solid German silver dials. All will be serialised and marked on the case backs with the Rare Things graphic. Schofield branding only appears on the buckles. 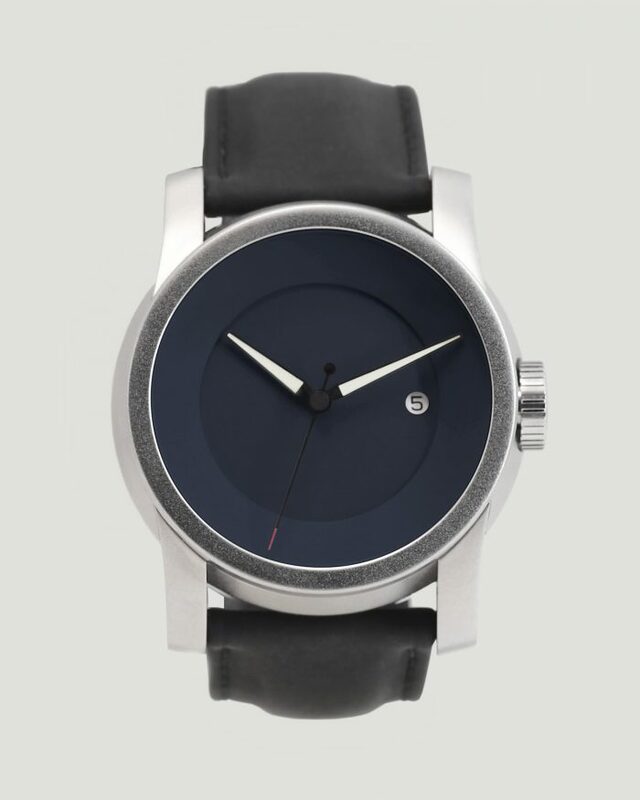 This watch has a blue dyed rhodium dial and is limited to 10 watches. These are pre-production artist's proofs and have been built into Signalman cases. A charming quirk and proof of Schofield's watch development is the redundant pusher button in the side of the case for setting the GMT complication in the classic Signalman models. Please email us if you would like more information. This Signalman Bare Bones has a heavy blue-dyed rhodium plated dial, comes on a strap of your choice and in an ash box.